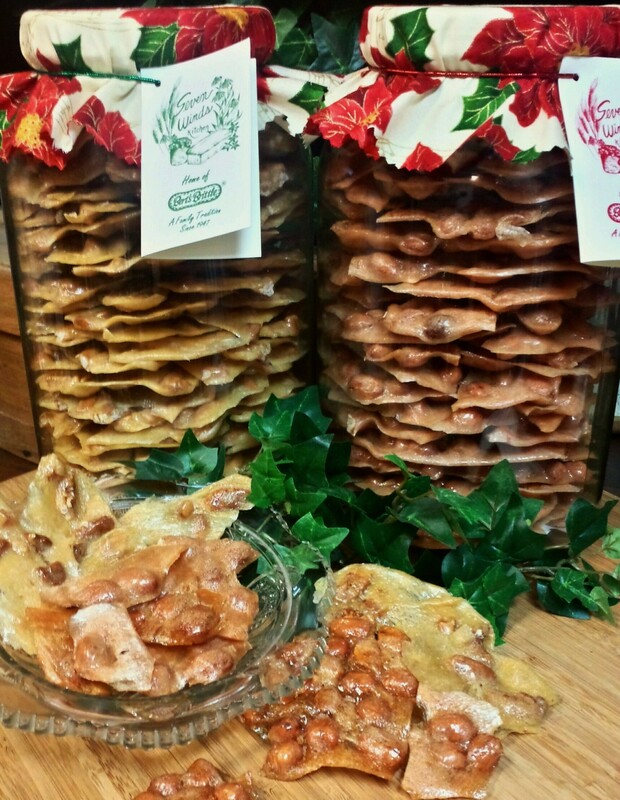 There are many peanut brittles and brittle products available from a lot of sources, but there is only ONE “Bert’s Brittle®” made in Logan Alabama, as it always has been, with the finest ingredients and the love of sharing good food with family and friends. 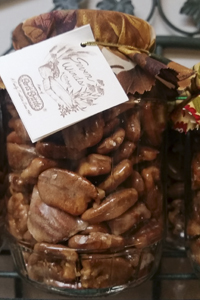 Fresh peanuts or pecans roasted in sweet crunchy brittle, what a treat. 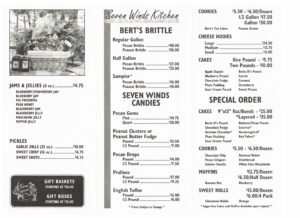 Although there are many peanut brittles and brittle products available from many sources, there is only one "Bert's Brittle®" made in Logan Alabama, as it always has been, with the finest ingredients and the love of sharing good food with family and friends. 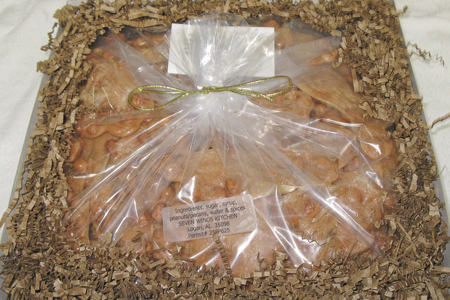 Peanut or Pecan Brittle Available in Gallon and Half Gallon Sizes. Include Size and Type upon Order. 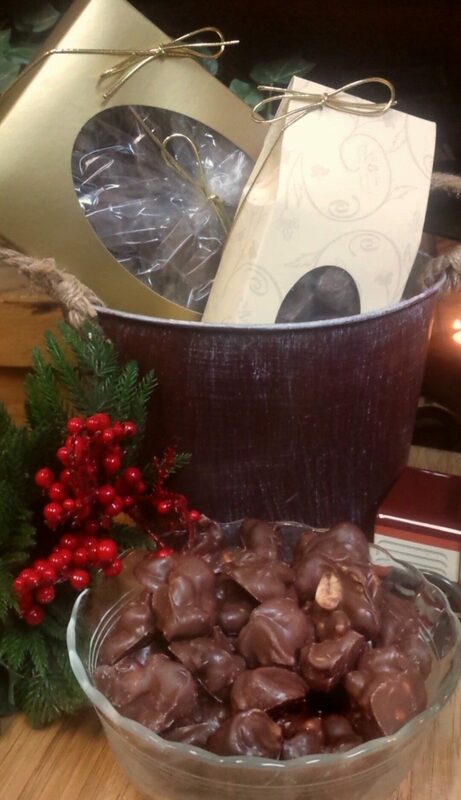 A collection of our soft candies, this great gift includes pralines, peanut clusters and pecan drops. 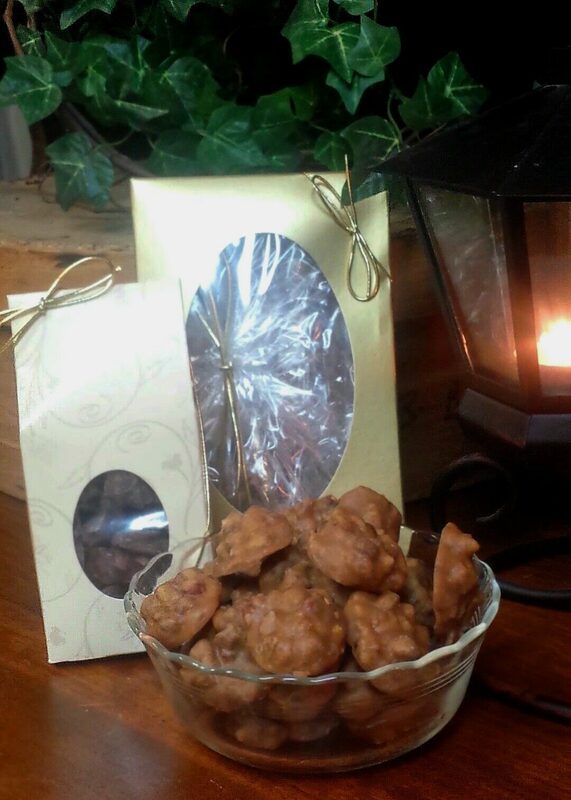 An exceptional candy, roasted pecans make a bed for crunchy, buttery toffee then sprinkled with dark chocolate…..what more could you want! 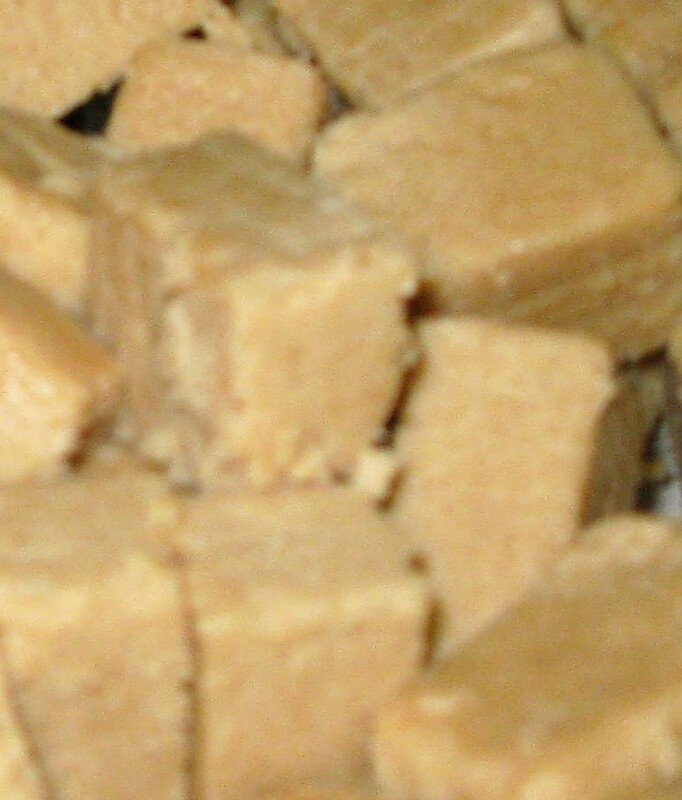 Light and smooth, the peanut butter taste comes through loud and clear. 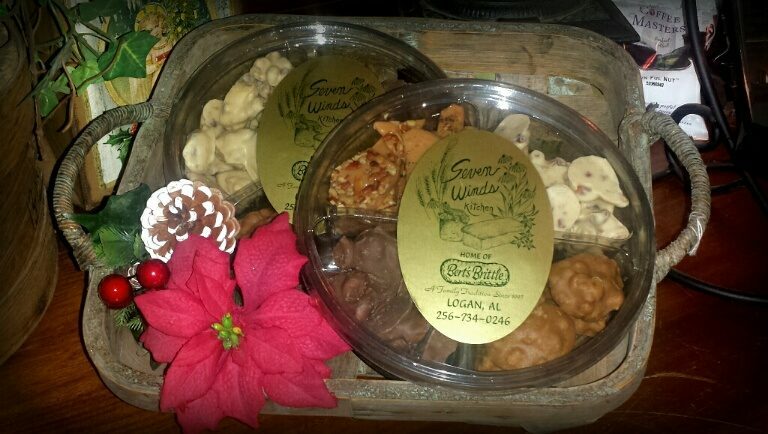 Packaged in various sizes to add a special treat to any gift or a gift by itself. 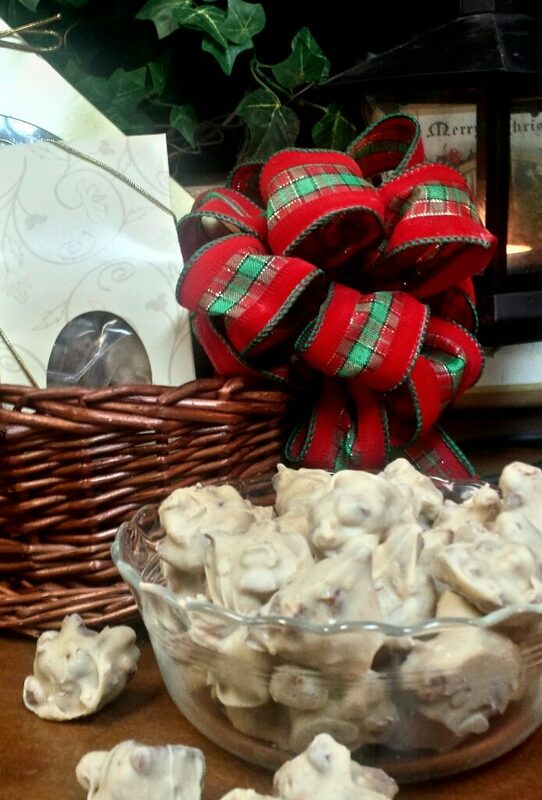 Creamy, rich bite sized candies packed with pecan pieces that will delight your taste buds. 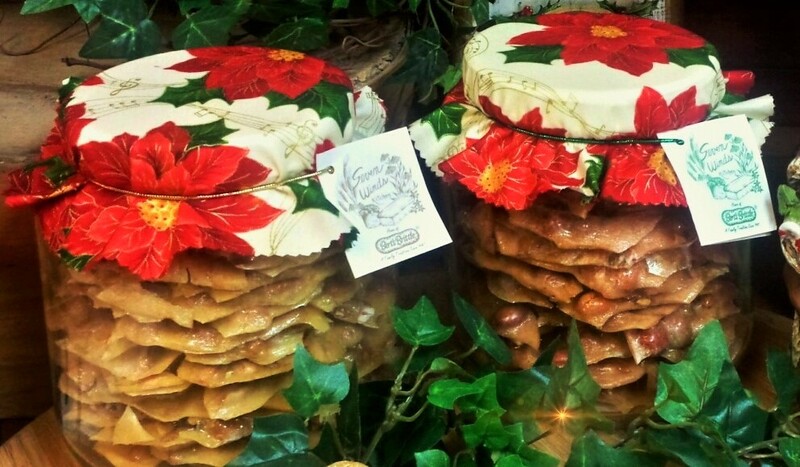 Peanut or Pecan Brittle can be shipped directly to that someone special in an Attractive food safe box. 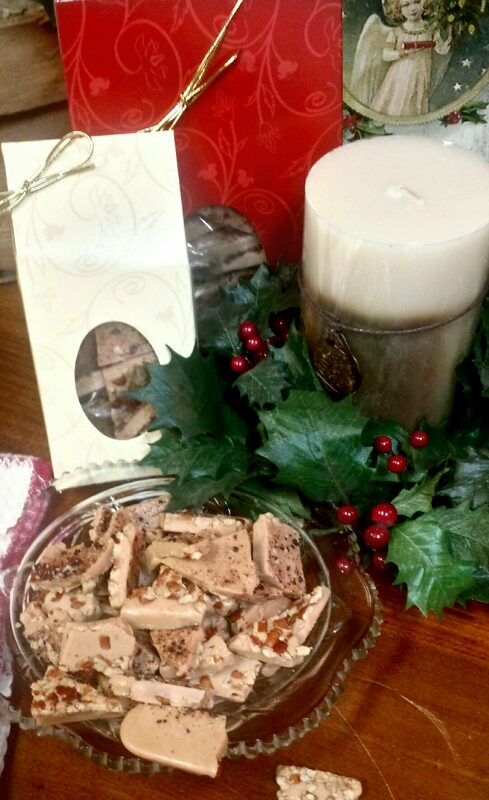 Two kinds of white chocolate combined with peanut butter and buttery roasted pecan pieces to make a bite sized true southern delicacy. So……GOOD.